Log Horizon Season 3 release date: Log Horizon is one of the most famous anime series. The first season of this comic-anime series had released on October 5, 2013, and the second season was announced immediately after the successful completion of the first installment, So, people were expecting the release of the S3 as soon as the S2 had ended. But, the second segment had come in 2015 and till now there is no notification about the third season by the studio. One of the reasons for the delay is that the author was caught in a tax evasion case. Even though it was cleared, but he was left with a bad reputation. It will take time to settle the heat of the moment. 2 Will There Be Log Horizon Season 3? There were many rumors about the plot and Log Horizon season 3 release date, but at the end of the day, they remain rumors only without any real ground. It is a Sci-fi anime series adapted from the novel series written by Mamare Touno and illustrated by Kazuhiro Hara. There were 25 episodes in each of both seasons. It is very popular in Japan and North America, broadcasted by NHK E and Crunchyroll respectively. The story of the series oriented towards the socially awkward gamer named Shiroe who is also the fan of MMORPG game Elder Tale. The story started when the 30 thousand people including Shiroe got transported into the game world at the time when these people logged in to get the updates about 12th expansion pack of Elder Tale which was about to release. 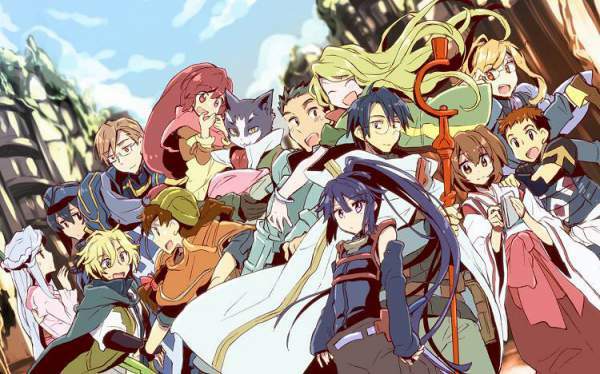 Will There Be Log Horizon Season 3? The S1 of series was created using the first 5 volumes of light novel series which were published just before the release of season 1 of LogHorizon. The second season consists of rest of 5 volumes and unpublished web novel. The first 21 episodes of the installment two use the former while episodes 22-25 utilized the later to accomplish the S2. Recent volumes of the series delayed due to the tax evasion scandal charges on Mamare. So, everyone was thinking that it is the end of this fantastic series and we won’t be able to see the LogHorizon Season 3. But the reader of the light novel very well knows that there was two years gap between the release of 5th and 6th volumes. Volume 11 released in March 2018. In an interview, Mamare mentioned that he is clear about the number of volumes which are going to release in the future and also about the climax of the story. There is a lack of content and hence anime series is yet not released, but as soon as the creators will get the required content, they will release the LH Season 3. If the target is to make 12 or 13 episodes for the next season, then there is enough material for the anime. But, if the makers are planning to make 25 episodes in two cours, then we will have to wait until Volume 12 has been published. If it gets out in 2018, then also there is no chance that it will start production in the same year. The first two seasons of the series were the blockbuster hit, watched by record-breaking 1 million viewers and 1.5 million viewers respectively. Due to such huge commercial success, we are expecting that third season will come soon. Log Horizon 3 release date is yet to be announced. The character development of this anime series makes it one of its kind otherwise some reports also claim that the plot of LH is similar to the ‘No Game No Life‘ and ‘Sword Art Online’. Creators are waiting for some more impressive content, but we are expecting to see the next installment in 2020. Till then stay tuned to The Reporter Times for more update on your favorite anime tv series‘ updates.